Are you eager to jailbreak your iOS 11 iPhone already? iOS 11 is so new that most methods are not very stable yet. Remember that you are jailbreaking at your own risk because Apple tends to frown upon the practice. At the very least, back up your data just in case before you jailbreak your phone. If something bad happens, you won’t lose anything important this way. Tip 3. What Do You Do If Your iPhone Has an Error While Jailbreaking iOS 11? (1) Open up your Safari browser on your phone. 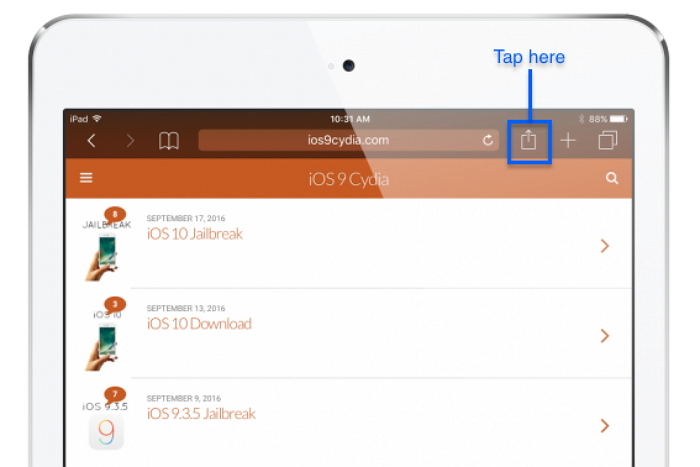 (2) Go to this website: http://www.ios9cydia.com/. (3) At the bottom of the screen (or the top if you are using an iPad to do this), you will see an icon that looks like a little box with an arrow pointing up. Tap this icon. (4) Now you will see a menu come up from the bottom of the screen. Tap where it says Add to Home Screen on the menu. (5) Now rename your download to Cydia and tap Add at the top. (6) The Cydia icon should now be on your Home Screen. You can tap it to get the latest jailbreak software updates. (1) Connect your iOS device to your computer. (2) Disable your passcode and disable Find My iPhone (in Settings > iCloud > Find my iPhone). (3) Download the Yalu IPA here: http://yalujailbreak.org/ipa/. (5) Launch Cydia Impactor and drag your Yalu download to it. (6) Put in your Apple ID and password when asked. (7) Wait for everything to install. (9) Find the app called “mach_portal” on your device and launch it. (10) Wait while your phone is being jailbroken. It should automatically reboot when it is done. (11) After the reboot, you should see the Cydia icon on your device. It is now jailbroken. What Do You Do If You Lose Data While You Jailbreak iOS 11? Did you try to jailbreak your phone, but now your device is locked up? Will it not restart? Is it stuck on the Apple logo? Is it stuck in recovery mode or simply displays a frozen screen? This can be annoying, but it can be fixed. 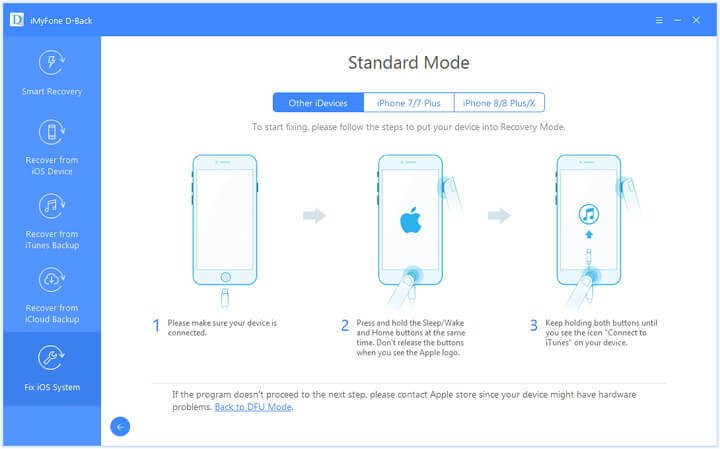 Using a tool like iMyFone D-Back iPhone Data Recovery, you can solve many issues with iOS. Three different modes for fixing iOS issues. 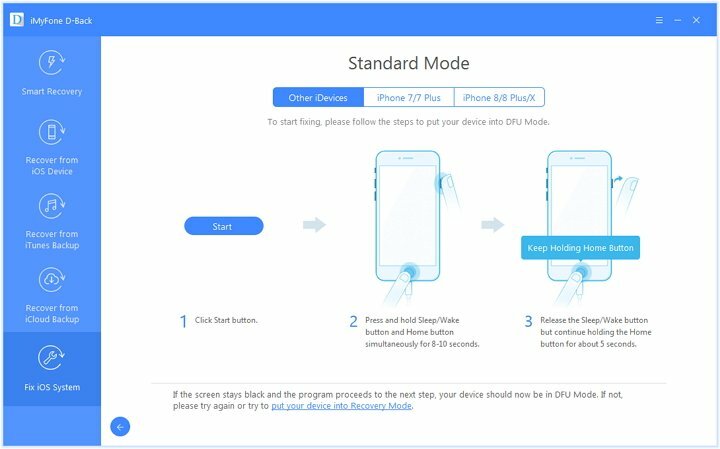 Standard mode will fix problems without affecting the data on your device. Advanced mode will completely re-install iOS to give you a fresh start. How to Use iMyFone D-Back to Fix iOS Issue That Happened While Jailbreaking iOS 11? (1) Download and install iMyFone D-Back to your computer from the iMyFone official download center. And then connect your device to your computer. (2) Launch the application and click Fix iOS System. You will see what the program can do for you. Click Start to begin the fixing process. (3) Follow the on-screen prompt to choose your firmware version. Do this, then click Download. (4) From here on in, everything will be automatic. 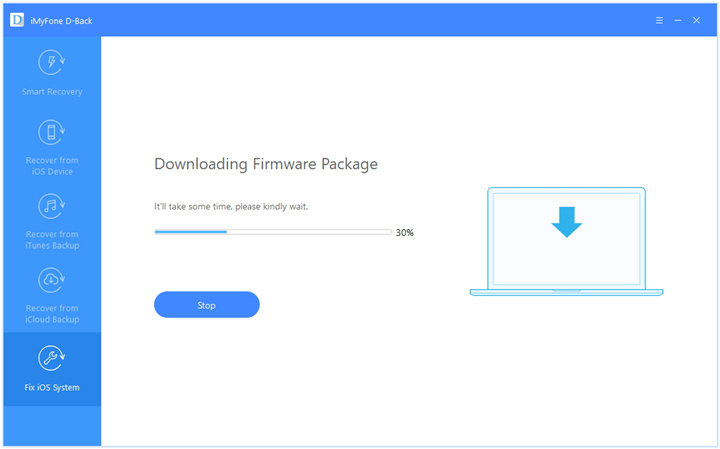 Just wait while iMyFone D-Back downloads the firmware, installs it, and reboots your device. After all of this, the device should be back to normal. Jailbreaking iOS 11 is still a fairly new thing, and each new version of iOS tends to be harder to jailbreak than the last. Because things are still in development, we will add new information as it becomes available and as new versions of the usual jailbreaking applications come out. In the meantime, use these methods at your own risk. Recently iOS 11.3 is coming soon and we will focus on this too.